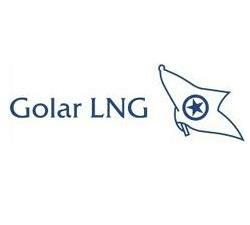 Golar LNG Partners LP (NASDAQ:GMLP) shareholders have witnessed a decrease in activity from the world’s largest hedge funds of late. In the 21st century investor’s toolkit, there are a multitude of methods investors can use to watch Mr. Market. A duo of the most under-the-radar are hedge fund and insider trading interest. At Insider Monkey, our studies have shown that, historically, those who follow the top picks of the best investment managers can trounce the broader indices by a solid margin (see just how much). Equally as important, optimistic insider trading sentiment is another way to parse down the financial markets. Just as you’d expect, there are a number of motivations for a bullish insider to get rid of shares of his or her company, but just one, very clear reason why they would behave bullishly. Many empirical studies have demonstrated the impressive potential of this strategy if you know where to look (learn more here). Now, it’s important to take a gander at the latest action encompassing Golar LNG Partners LP (NASDAQ:GMLP). How have hedgies been trading Golar LNG Partners LP (NASDAQ:GMLP)? At the end of the fourth quarter, a total of 6 of the hedge funds we track held long positions in this stock, a change of -14% from the previous quarter. With hedgies’ positions undergoing their usual ebb and flow, there exists a few key hedge fund managers who were upping their holdings significantly. Of the funds we track, Fortress Investment Group, managed by Michael Novogratz, holds the most valuable position in Golar LNG Partners LP (NASDAQ:GMLP). Fortress Investment Group has a $14.2 million position in the stock, comprising 0.4% of its 13F portfolio. On Fortress Investment Group’s heels is White Elm Capital, managed by Matthew Iorio, which held a $10.6 million position; the fund has 2.2% of its 13F portfolio invested in the stock. Other hedge funds that hold long positions include Malcolm Fairbairn’s Ascend Capital, Charles Clough’s Clough Capital Partners and Gregg J. Powers’s Private Capital Management. Because Golar LNG Partners LP (NASDAQ:GMLP) has faced falling interest from the aggregate hedge fund industry, it’s safe to say that there exists a select few money managers that slashed their positions entirely last quarter. It’s worth mentioning that Israel Englander’s Millennium Management dropped the biggest investment of all the hedgies we track, valued at an estimated $1.5 million in stock.. Anand Parekh’s fund, Alyeska Investment Group, also dropped its stock, about $1.1 million worth. These bearish behaviors are interesting, as aggregate hedge fund interest fell by 1 funds last quarter. How are insiders trading Golar LNG Partners LP (NASDAQ:GMLP)? Insider buying is particularly usable when the company we’re looking at has seen transactions within the past 180 days. Over the latest 180-day time period, Golar LNG Partners LP (NASDAQ:GMLP) has seen zero unique insiders buying, and zero insider sales (see the details of insider trades here). Let’s also take a look at hedge fund and insider activity in other stocks similar to Golar LNG Partners LP (NASDAQ:GMLP). These stocks are Tidewater Inc. (NYSE:TDW), Teekay Corporation (NYSE:TK), Teekay Offshore Partners L.P. (NYSE:TOO), Seacor Holdings, Inc. (NYSE:CKH), and Ship Finance International Limited (NYSE:SFL). All of these stocks are in the shipping industry and their market caps match GMLP’s market cap. Golar LNG Partners LP NASDAQ:GMLP NYSE:CKH NYSE:SFL NYSE:TDW NYSE:TK NYSE:TOO Seacor Holdings Inc. Ship Finance International Limited Teekay Corporation Teekay Offshore Partners L.P. Tidewater Inc.